In the last few decades to replace the semi-legal "rocking" came almost professional sports clubs, the threshold of which is now crossed even men and women over 40. They successfully overcame their own systems and understand how important it is to not only look good but also feel young and healthy. Along with this change, and sports clubs. Now this is not just a room with a set of simulators and I got a great coach, but a real fitness center with beauty salon, sauna, juice bar and a private nutritionist. The opening of this center requires a carefully crafted business plan. First of all, determine what kind of sports club planning to open: universal, multifunctional, or a narrow power. Depending on the type of club varies the amount of the minimum investment. 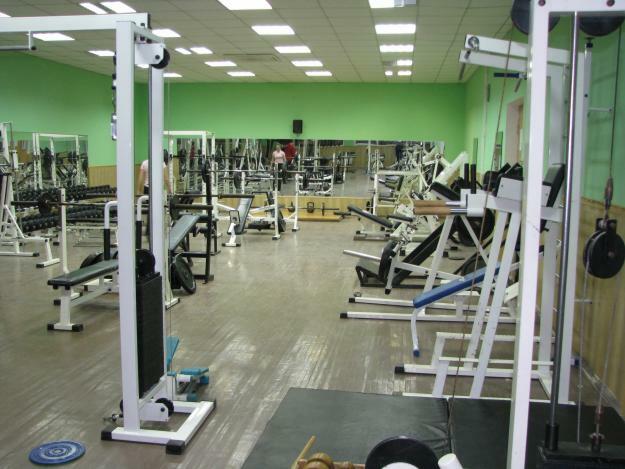 For example, the basic club offering training on simulators, motor program, sauna, massage and Solarium will require investments of at least 1.5-3 million R. Of which 300 thousand rubles will be spent on repairs, as much of the equipment sauna and Solarium, 150 $ on advertising and not less than one million for the purchase of equipment and related products. Now proceed to the selection of the room. The best option is renting a room once used as a gymnasium and a sports complex. However, you can rent a room on the ground floor of an office building or a residential building. The minimum area for accommodation of the fitness center – 150-250 sq. m. Large part of the allocated gym and a hall of aerobics or fitness. Next we move to the city administration, fire inspection, sanitary and epidemiological stations to receive permission to open a sports club. Will sign the contract with the housing Department, urban and water supply authorities. After obtaining clearance, proceed to the arrangement of the interior. All rooms should be equipped with ventilation. On the floor lay a special material, natural linoleum traumatic. At least one wall of each conference room for training needs to be mirrored in the aerobics room install dance machine for stretch marks. You can now buy the equipment for the classes. Best of all, if the list of necessary equipment will help to make a professional coach. The basic set of equipment will cost not less than 750 thousand. 15-17 It consists of strength training and 4-5 cardio machines. This kit will be located at 100kv.m. In the gym and the aerobics room should be a music center or any other rhythmic music. Then proceed with the recruitment. Need administrator, Manager, Director, accountant, technician and a few coaches. If you want you can invite of the massage specialist or a beautician, because residents of large cities brings together the eternal shortage of time, so each visitor of the sports club will be incredibly comfortable in one place to play sports and to other services on beauty care and health. A few months before the opening start advertising campaign. Distribute flyers in the surrounding houses, offer discounts to the first visitors. Practice shows that patrons be residents of nearby areas. Please note that the gym should be a place to warm up, and in the area of free weights (dumbbells, barbells) should be a place to be safe. When writing a business plan, consider current expenses and rent. Taking into account the capacity of the sports club (20-40 people) and monthly (750-1500R. ), the payback period is 3-6 years. For permits and approval documents may take up to six months.